Is it just me, or has this week lasted a lifetime? Clocking out on Friday felt like a long time coming, and this three day weekend is very welcome indeed! After a few glasses of prosecco and, um, a jaegerbomb on Friday night, waking up on Saturday morning was a pretty slow affair. After what felt like some v rusty cogs started moving again (aka I made myself a brew), I met up with Kate to check out the Manchester Pride parade in the surprisingly glorious sunshine. I'm not entirely sure how I missed it last year as it's bloody big enough, but there is something about watching everyone come together and just be happy that left me with a smile on my face. It was definitely a vibe. Afterwards, we headed to Grub and I was overwhelmed with happiness (again, what a Saturday) with the food options available. I'd only been on the vegan day before, so went for new-to-me Press de Cuba's sandwich and we shared some Fat Annie's redneck fries, i.e. fries covered in bacon and cheese, all washed down with some local cider. It's safe to say that I was in a very happy place. 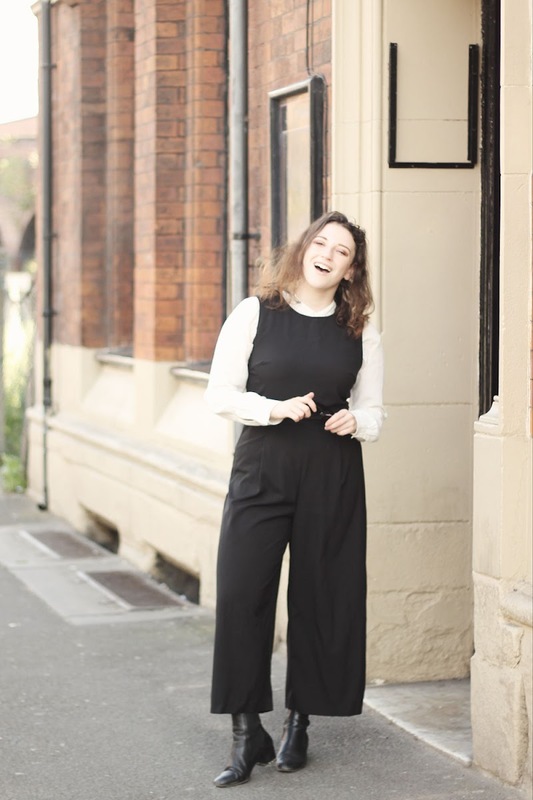 I asked Kate to snap some photos of what I was wearing, as it's been almost a year since this jumpsuit graced this little blog even though I wear it at least once a fortnight. 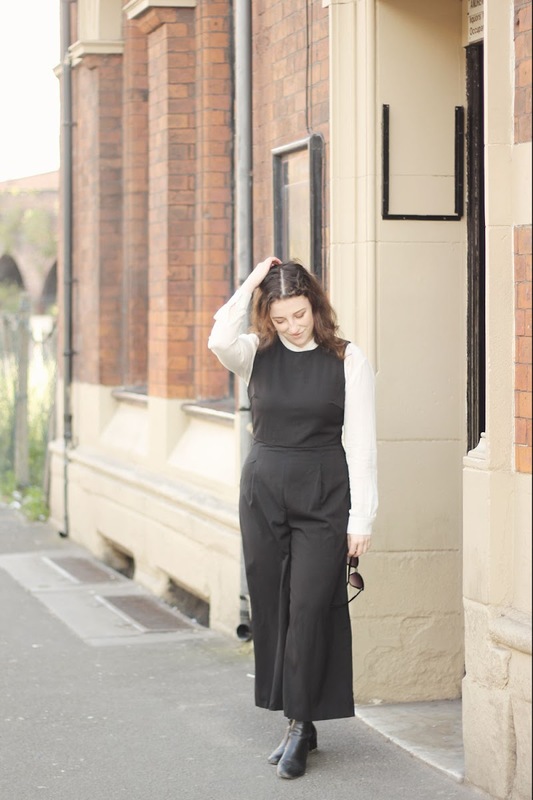 I'm generally one for an occasion dress, but when I picked this up last year I quickly found myself converted to the jumpsuit cause, and am trying to work out how much I'd wear the pink option if I added that one to my wardrobe too... 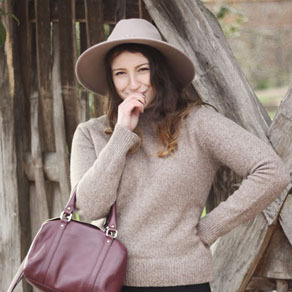 I've lost the belt tie to the depths of my wardrobe somewhere so wear it without, but the panelling is super flattering, and I love wearing it layered with both blouses as pictured here and turtle and polo neck tops too. I do feel like I'm stuck in something of a style rut, so it's nice to have something to fall back on that I love, and think it looks ok on too! I'm not entirely sure where the rest of the weekend will take me personally, but I do hope all of you have a good one - whether it's planned or not! 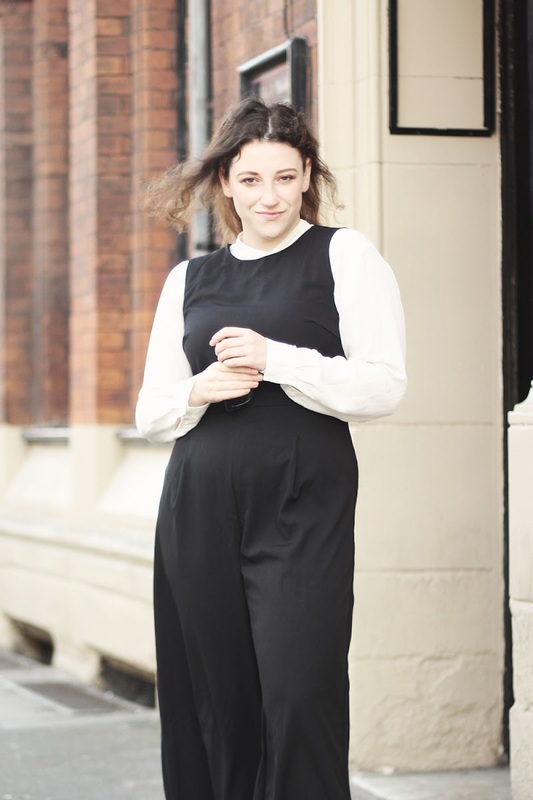 Warehouse culottes jumpsuit (I'm also eyeing up the pink one). Warehouse silk shirt (sold out, but similar here). 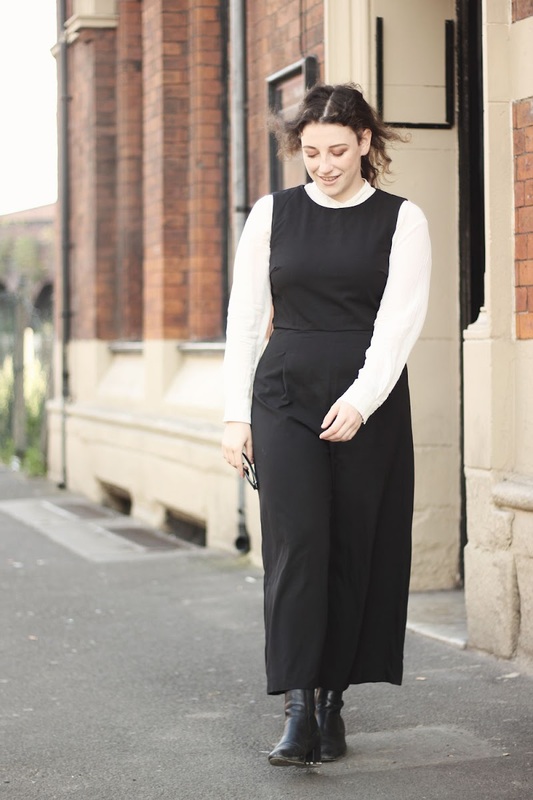 Claudie Pierlot studded chelsea boots (sold out, but similar here). Urban Outfitters sunglasses.